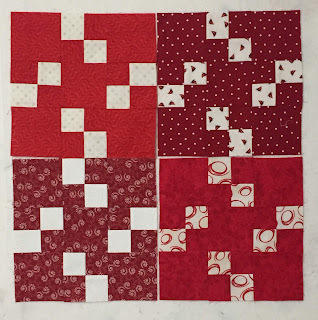 L' FAIR QUILTS: Rainbow Scrap Challenge - Red! Rainbow Scrap Challenge - Red! My red stash is always low ... it is my favorite color, so I tend to pull from this section more often. 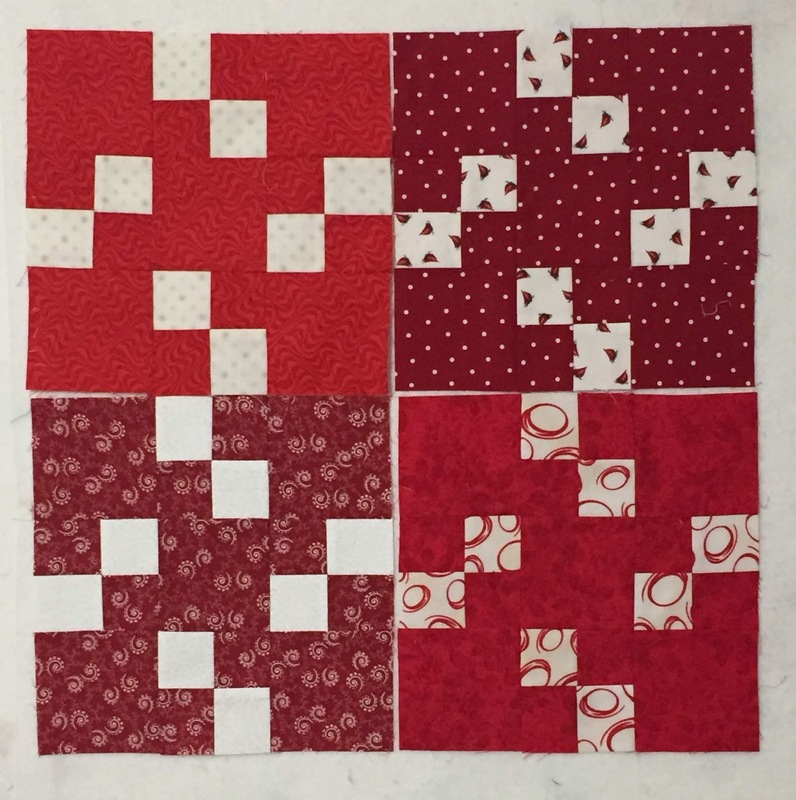 I have only made four of the 4 patch/9 patch blocks (usually make 8); however I will need to actually cut from yardage for the rest of the month -- not a bad thing. My red scrap bin is in the middle compared to other fabrics. I often have trouble getting my reds to play nicely with each other. Orange is a my go to quilt color. Love your blocks. Have fun creating NEW scraps!! !